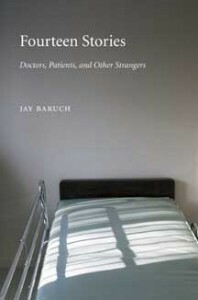 An emergency physician and faculty member at Brown Medical School, Jay Baruch has long been fascinated by how illness can make people strangers to their own bodies, how we all struggle to maintain control as the body decays and life slowly becomes unrecognizable, and how health professionals discove r and struggle with the limits of their own competence and compassion. In Fourteen Stories, Baruch doesn’t present a series of clinically based essays but a rich collection of short fiction that gives voice to a variety of people who, faced with difficult moral choices, find themselves making disturbing self-discoveries. Baruch’s unique voice is a welcome addition to the genre of medical narratives—fiction and non-fiction alike—that is becoming increasingly important to medical and nursing schools’ and university curricula. Jay Baruch holds a medical degree from the State University of New York at Stony Brook. His fiction has been published in numerous magazines, including Inkwell, The Salt River Review, and Other Voices.